Cyprus offers everything from warm, sandy beaches to lush mountainous regions. The island features a number of historic and popular cities including Ayia Napa, Larnaca and Limassol along with Paphos. Nicosia is the island country capital. Sometime during the Bronze Age, the city developed in the central region of the island, on the Mesaoria Plain. Nicosia gained recognition as the capital city approximately 1,000 years ago. The original part of the city lies within the remains of 400 year old walls. The city continued growing and expanding beyond the ancient protective barriers. The metropolis has the most impressive museums on Cyprus centering on specific themes that include archeology, art, jewelry and ethnography. Lying on the island’s southern coast, Larnaca also boasts many scenic palm lined beaches, which provide the opportunity for any manner of water sport. Additional attractions include a number of archaeological sites, buildings and museums that help explain the community’s long history dating back to prehistoric times. A fortress castle constructed in 1625 adds to the medieval atmosphere and though once a prison, now houses the Larnaca cultural center. 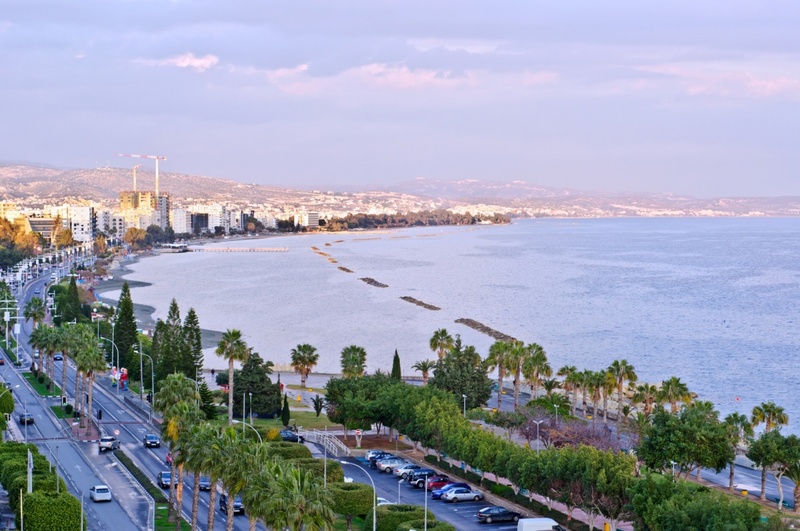 Lying between Larnaca and Paphos, Limassol is the largest city on the island. The area boasts some of the most significant and impressive archaeological ruins on the island. The region also serves as the wine making center of Cyprus. Richard the Lionheart married his beloved Berengaria at the Limassol Castle, which now welcomes visitors and houses a museum. The nearby Kolossi Castle served as one of the bases for the famed Knights Templar. The city also has an archaeological museum, an art gallery and a folk art museum. The ancient kingdom city of Kourion lies a short distance from the city. 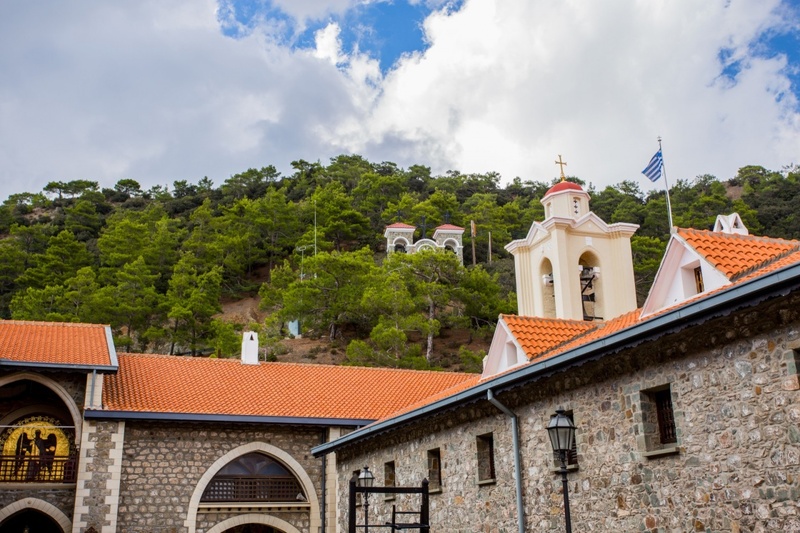 Though lying on the southwestern coast, the destination also features the nearby Troodos Mountain range. The community has three separate beaches, a bird park and an aquarium. Besides the natural marine life found in the local waters, prominent sunken ships make the location a popular scuba diving destination. Hiking the scenic Troodos Mountains is another popular activity. Paphos remains heavily tied with Greek mythology and legend has it that the Greek goddess Aphrodite was born here. The many archaeological sites found here include the Agios Lambrianos Rock Cut Tomb, the Fort of Paphos and the Tomb of the Kings. The islanders refer to the eastern corner of Cyprus as the Famagusta district and one of the popular tourist destinations in the area includes Ayia Napa. Established during medieval times, Ayia Napa originated as a fishing village. A medieval monastery remains standing in the heart of the community, encompassed by a protective wall. Now Ayia Napa is a popular party destination that attracts teens from around the world. Many visitors also participate in a number of water sports that include sightseeing cruises, deep sea fishing, snorkeling or scuba diving. The well protected harbor around Nissi Beach makes the location particularly popular with guests of all ages. The community also has a water world theme park. Find information about selected Hotels, apartments and rooms in Cyprus and 5 star hotels in Cyprus to choose the perfect place for your accommodation.